From the outrigger canoes of Waikiki to the tall ships of Honolulu Harbor, from the Kingdom of Hawaii to statehood, the history of Honolulu has played out against a backdrop of uncommon natural beauty. Home to the only royal residence on American soil, Honolulu witnessed in less than a century's time the overthrow of the Hawaiian monarchy, the rise of the powerful sugar barons, and the devastating attack on Pearl Harbor. Yet through the good times and bad always this unique port city has offered an easygoing, welcoming spirit, to go with the warm trade winds and soft ocean swells for which Honolulu is world famous. 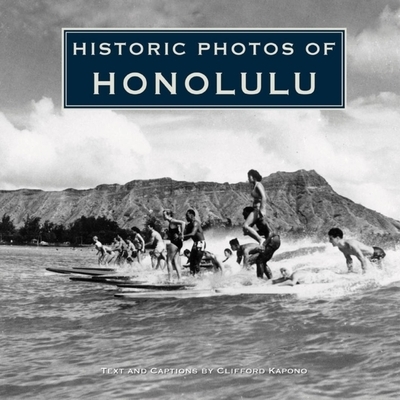 Historic Photos of Honolulu presents nearly 200 images from the later years of the Hawaiian kingdom to the early years of the fiftieth state. Reproduced in vivid black and white, the photos in this volume show the city's evolution and change, yet with a sense of its uncommon beauty ever present.